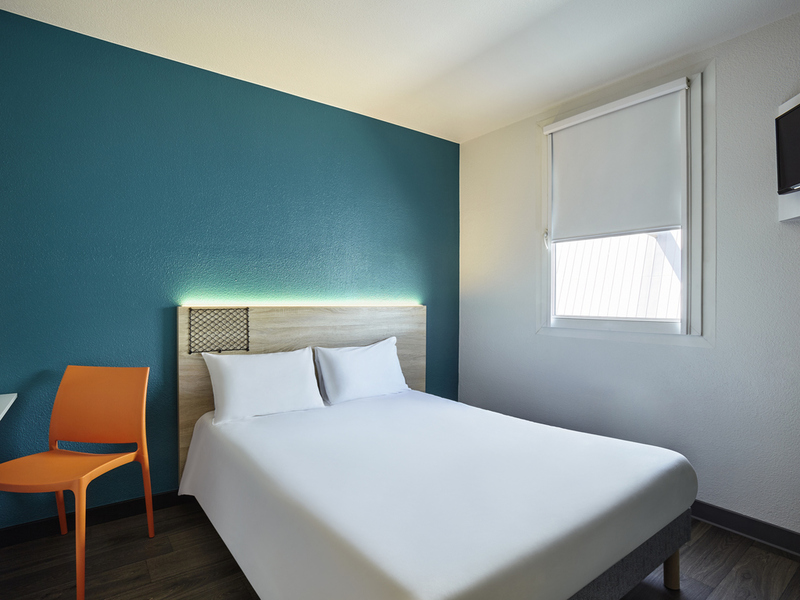 hotelF1 is the new generation of budget hotels accessible 24/7, with free parking and WIFI. Microwave ovens are available. Up to three people per room, with bathroom facilities nearby. The all-you-can-eat breakfast is served every day at the lowest price at the times displayed at reception.